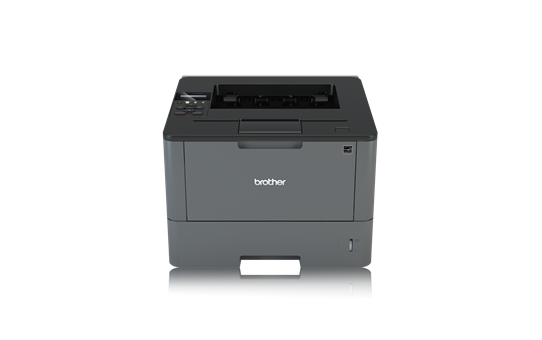 Created with the small office in mind, the Brother HL-5100DN is a reliable printer that aims to provide the best standard of service at an affordable price. You will find that the running costs of the Brother HL-5100DN are very affordable, making it a good long-term option for any company that wants value and reliability. As a mono laser printer, it will come as no surprise to learn that the quality of text output is the strongest point of the Brother HL5100DN. If your office prints a wide range of printed text, this is a printer that will provide you with your material quickly and in a reliable fashion. One of the primary advantages of the HLL5100DN is the printing speed of standard text documents, at 42 pages per minute; the very quick rate will allow you to undertake printing work at an effective pace. With a base paper capacity of 250 sheets and plenty of options for additional trays, there is no need to continually reload paper, which will make it an efficient and very affordable choice for most small work-spaces. If you are looking for a printer that is going to provide you with high quality graphics, this is not the option for you. There are many benefits and reasons to choose the Brother HL-5100DN but its graphical output is not one of them. If you have a high volume of graphics or require colour in your printed material, consider other alternatives. The Brother name and reputation is one that many people rely on and there are no surprises from the Brother HL-5100DN. If you are looking for a printer that can handle text superbly and ensure you do not have to spend a large part of the working day around the printer, this is going to be an option that fits in superbly in your office.